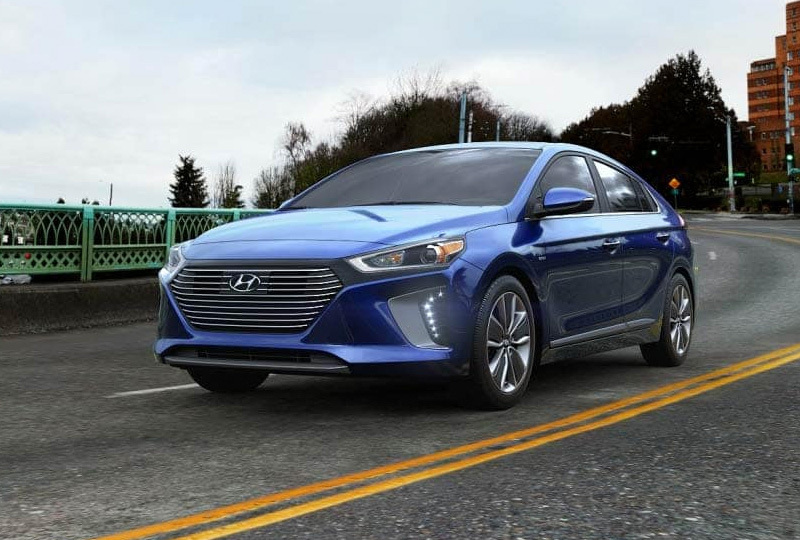 The 2019 Hyundai Ioniq Hybrid from Hyundai of Greer in South Carolina - serving Greenville, Spartanburg, Easley, and Simpsonville - is a capable hybrid sedan with impressive features. The aggressive exterior exudes confidence with active grille shutters and an integrated rear spoiler. Combine the 1.6L GDI DOHC 4-cylinder engine and a permanent magnet synchronous motor to get up to 57 MPG in the city and 59 MPG on the highway.1 A unique 6-Speed EcoShift® dual-clutch transmission with Shoftronic® technology provides smooth handling for every adventure. Find standard entertainment features like Apple CarPlayTM and Android AutoTM smartphone integration on the 7-inch touchscreen display. Store everything inside the cabin with ease, thanks to clever 60/40 split-folding rear seats. A premium cloth upholstery provides hugging comfort while a dual-zone temperature system creates the perfect cabin atmosphere. Now is the best time to buy a new Hyundai! The 2019 models are here and the savings are unbelievable. Take a test drive today, and see why so many people choose Hyundai. Visit our showroom located at 14435 East Wade Hampton Boulevard in Greer. 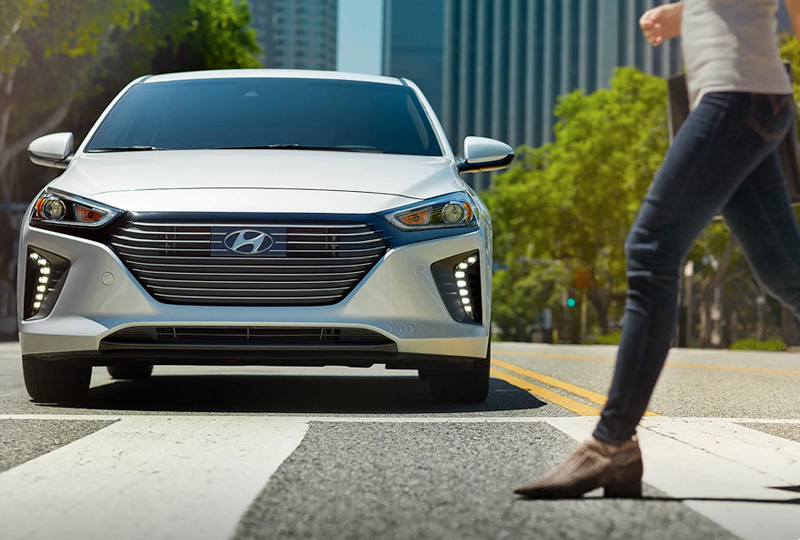 Your dream of owning a 2019 Hyundai Ioniq Hybrid can become a reality at Hyundai of Greer! Headlight Design Adds Style & Visibility. Space To Do Your Own Thing. So much space for family, friends and fur friends, shopping, sports and hobby gear. Plus the flexibility of a 60/40 split-folding rear seat back caters to your every wish. Control Ioniq Hybrid from your favorite devices, or simply your voice. Voice-activated search is just the beginning. 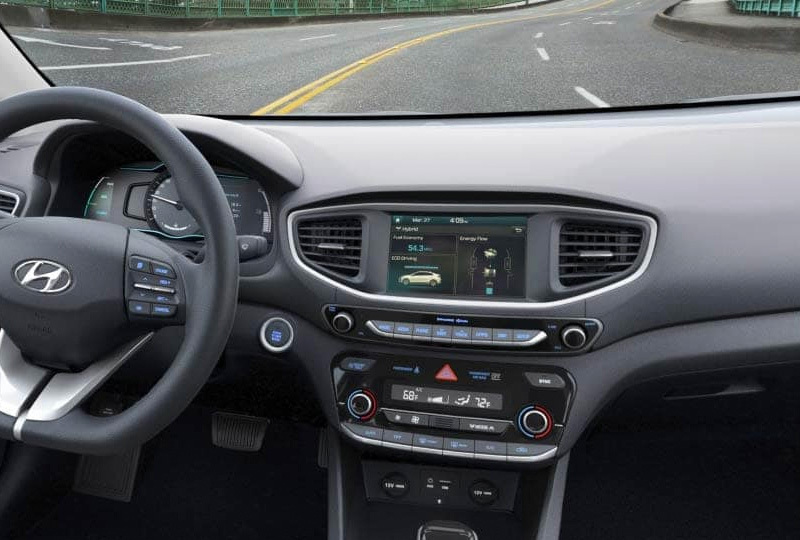 Access remote lock, engine start with climate control, in-car maintenance scheduling, and more. It's easy with Blue Link® Connected Car Service, in the car, on smartphone, smartwatch, and Amazon Echo. 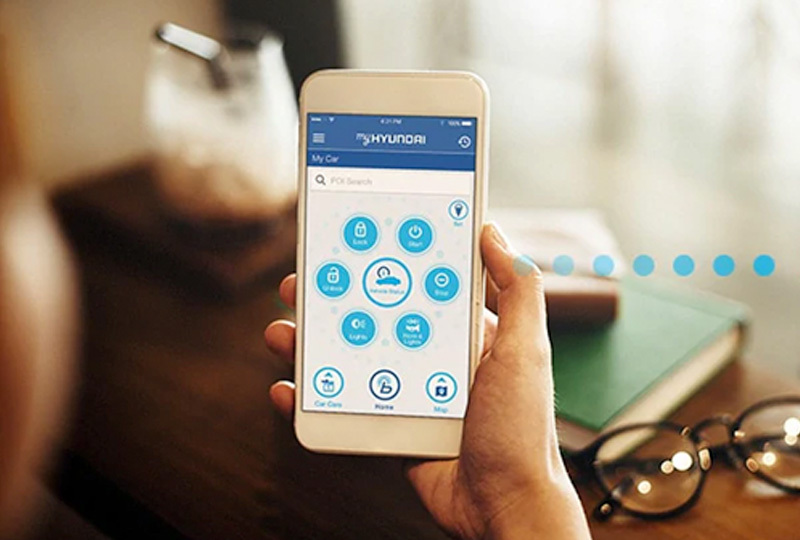 *Blue Link enrollment includes 3 years of the Blue Link Connected Care, Remote and Guidance (if equipped with factory-equipped navigation) Packages and requires an active Blue Link subscription agreement subject to the Connected Services Terms and Conditions. Three-year term starts from the new-vehicle date of first use and is available for new-vehicle purchases and leases as well as transferable to subsequent owners subject to the Terms and Conditions. Only use Blue Link and corresponding devices when safe to do so. Cellular and GPS coverage is required. Blue Link is available on most new Hyundai vehicles. Features, specifications, and fees are subject to change. For more on details and limitations, visit HyundaiUSA.com or your authorized Hyundai dealer.